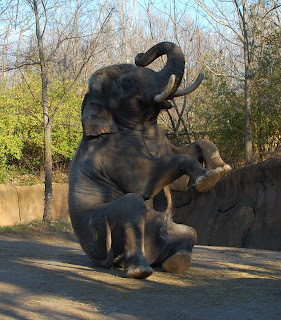 At the excellent (and free) St. Louis Zoo, you'll find the usual array of exotics, plus a few unexpected surprises. Some of the elephants have to dance for their hay, and this one knows quite a few tricks. Other animals just get fed with nothing in return -- perhaps it's difficult to train a hippopotamus to do anything other than squish you.